Ok, I've got a Nemesis clone on the way and plan to be using it in conjunction with my Trident, I was wondering how low of a build can I go on AWIMR 18650 batts or what would be considered safe. Would you lot recommend the VTC4's or something else? 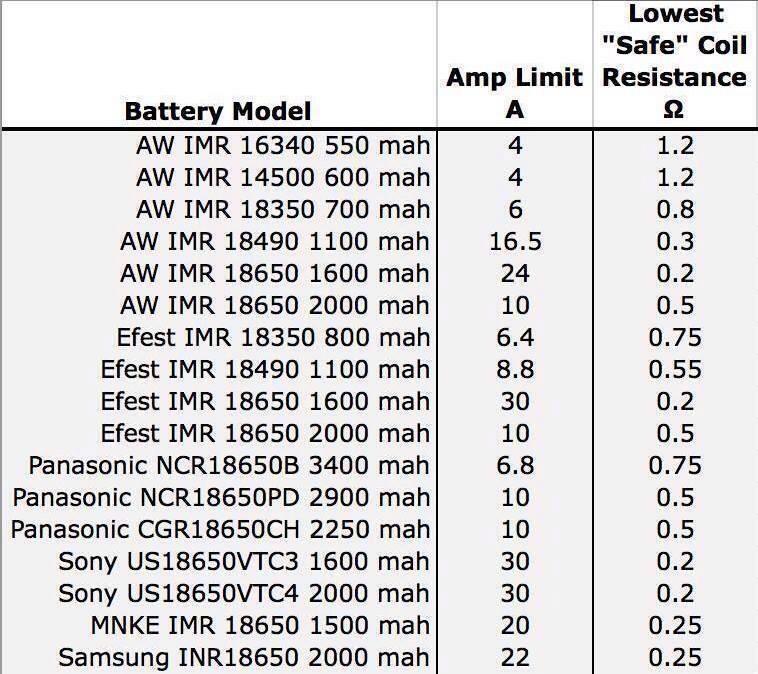 There's plenty of information out there - but if you are going to play in the sub ohm range, I suggest you get your self edumacated with Ohms law, and how this applies to your mod and batteries. Getting it wrong could ruin your mod and you. Don't exceed the max amperage of your batteries. I'm sure many others will chime in. I've got the 2000 Mahs. you mean .7 - .8 ohms? i run 0.8ohm on 16340s all the time. And Arth, I hope to god you're not serious. I am dude on my GLV supermini with an AGT. 3/4 wrap of 28G on 200 mesh. Beaudies mate! I'm yet to play around with mesh in any way or form..